Daily life is full of numbers, and some matter more than others. Here are four that could help you understand and potentially improve your financial situation. What percentage of your salary are you contributing to a retirement plan? Making automatic contributions through an employer-sponsored plan is a convenient way to save for retirement, but this out-of-sight, out-of-mind approach may result in a disparity between what you need to save and what you are actually saving. There is no magic number, but one common guideline is to save 10% to 15% of your salary. If you start late, you may need to save even more. If that seems like too much, you should at least contribute enough to receive the full company match (if any) that your employer offers. Some plans let you sign up for automatic increases each year, which is a simple way to bump up the percentage you’re saving over time. 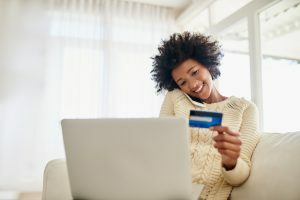 When you apply for credit, such as a mortgage, a car loan, or a credit card, your credit score will likely factor into the approval decision and affect the terms and the interest rate you’ll pay. The most common credit score is a FICO® Score, a three-digit number that ranges from 300 to 850. At one time, you had to pay to check your score, but many credit-card companies now offer this as a free service to customers. You should also regularly check your credit report, which contains the information used to calculate your score. You’re entitled to one free copy every 12 months from each of the three major credit-reporting agencies. To request a free report, visit annualcreditreport.com. Your debt-to-income ratio (DTI) is another number that lenders may use when deciding whether to offer you credit. A DTI that is too high might mean that you are overextended. Your DTI is calculated by adding up your major monthly expenses and dividing that figure by your gross monthly income. The result is expressed as a percentage. If your monthly expenses total $2,000 and your gross monthly income is $6,000, your DTI is 33.3%. Once you know your DTI, you can take steps to reduce it if necessary. You may be able to pay off a low-balance loan to remove it from the calculation and/or avoid taking on new debt that might negatively affect your DTI. Check with your lender if you have questions about acceptable DTIs or what expenses are included in the calculation. Your net worth provides a snapshot of where you stand financially. To calculate your net worth, add up your assets (what you own) and subtract your liabilities (what you owe). Ideally, your net worth will grow over time as you save more and pay down debt, at least until retirement. 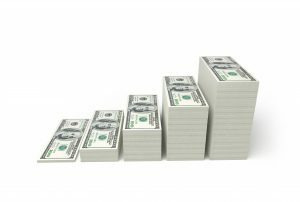 If your net worth is stagnant or even declining, then it might be time to make some adjustments to target your financial goals, such as trimming expenses or rethinking your investment strategy.